I have been working on my Arizona trip, but taking a break from that today to post this vent and hopefully raise some awareness to handicapped parking. Today I’m at my grandson’s school to pick him up from school and was royally ticked when I got there and all the handicapped spaces were taken by those who have no placard or plates that are handicapped. This has happened a number of times while I have been there. So out jumps mothers and fathers with phone in hand and running up to get the kids from school and then proceed to the vehicle. One lady is on her phone talking to someone next to her in another non handicapped person’s vehicle. While a few cars, myself included was forced to park all the way at the end of the parking lot, because there were no spaces to park. They are lazy, so they park as close to the entrance as they can so they don‘t have to walk and they don‘t care if they take up a disabled parking space. The lady today was in such a hurry to get her child that she had the time to text and talk to those around her. Maybe in their mind being in a hurry is justified and OK… Tell that to the veteran or the handicapped person who can’t walk easily. 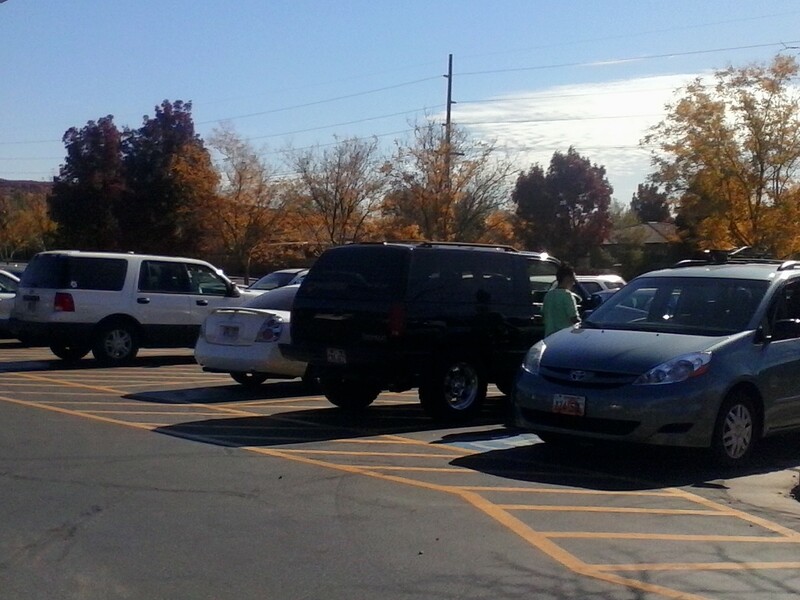 Maybe they are worried someone will scratch the vehicle and that warrants taking 2 spots of a handicapped space? Wait, maybe they don’t see the big blue sign that says handicapped parking only or think it is just a suggestion. If they can’t see that on the ground and the sign, they should NOT be driving at all. Let me see, maybe they know that nobody will ticket them and they can do what they want because they are special. They obviously have money to throw away on fines in case they get caught. So $125.00 is a drop in the bucket for them. But then like my number 5 on my list, they know nobody is patrolling. Sorry, I am being sarcastic on this, because I know I am. But also at the same time, people don’t get it. In order to have a handicapped placard or plate, you have to have a disability. 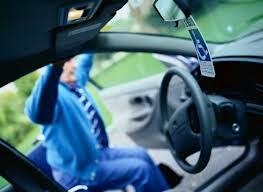 According to the Utah Motor Vehicle Division, this is what you have to do to qualify for a handicapped parking permit. Individuals with disabilities can qualify for disabled person’s license plates, which are mounted on their cars in place of regular license plates, or disabled person’s placards, that are hung from the rear view mirror of their cars. These plates or placards allow the disabled person to park in specially marked parking areas that are convenient to the entrances of public buildings. The plates may be personalized. is severely limited in his or her ability to walk, due to an arthritic, neurological, or orthopedic condition. Although many people, such as new mothers, people with minor injuries and others, can obviously benefit from the use of disabled parking privileges, each case must meet one of the six criteria listed above in order to qualify. Certification of continued qualification and use must be provided every two years when requested by the DMV. Plate must be surrendered upon death or inability to use. OK, now I’m getting off this topic because I can go on and on when it comes to this topic and being aware that the handicapped people need those spaces. It isn’t because they are lazy, out of shape or just don’t care. They would love to be able to park out on the north 40 and still be able to breath and not pay the price for wanting to go to the store or pick up a child from school.